Voyage To Georgia. Part 8. We went South as far as the 19th Degree of North Latitude, in order to fetch the Trade Winds, so that about Christmas it was as hot as in June. Our People grew sickly: Mr. Oglethorpehimself visited them constantly; and when it was proper he let them have Fowls for Broth, and Refreshments of his own. We had a very good Surgeon and I observed that Carduus Vomits gave the Sick great Relief: If that did not do, Bleeding and some Powders which the Doctor gave, (which were chiefly either Compositions of Salt of Wormwood or testaceous Powders) had such Effect, that, by the Blessing of God, not one Soul died from the time we left the Downs to our Arrival in Georgia. Instead of lessening our Number we increased, for on the Passage there were four Children born. Whenever the Weather was calm enough to permit it, Mr. Oglethorpe went on board the London Merchant, to see that the like Care was taken of the People on board her, with whom we kept Company all the Way. Having run before the Trade Wind till we had got Westing sufficient, and being as far South as 20 Degrees, we were obliged to stand Northwardly to fetch Georgia, which lies in the Latitude of 32; so that we had a second Winter, for we found the Weather cold as we came near the Coast of Georgia. Main-sail, which was quite new: We soon unbent it, and brought the Ship to under her Mizen. On the 2d of February, at Noon, we saw three Sails standing E. N. E. We bore up to them and soon after spoke with the Pompey, Capt. Rowse, bound for London from Carolina. He lay by, whist Mr. Oglethorpe wrote Letters to England, which he sent by him. On the 4th we found we had pass’d the Stream of the Gulph of Florida. We founded, and found Ground with 50 Fathom of Line, being the Banks of Georgia, which shoal gradually to Shore, at that time about 30 Leagues distant. In the Evening we saw Land, which proved to be the Island of Tybee. We lay off and on all Night. On the 5th we ran in, and made Tybee plain. Capt. Dymond, of the Peter and James, came out to us in his Boat, and brought a Pilot with him. He carried us over the Bar with the first of the Flood, finding 19 Foot Water in the shoalest Part. We came to an Anchor within Tybee. Beacon might be the more conspicuous; that a great deal of time had been taken up in piling the Foundation, and in bringing down and landing the Timber; that he had made a great many more Braces than at first had been thought necessary; but that the chief Reason of his Delay arose from his Men’s not work; that Rum was so cheap in Carolina, from whence they easily got it, that one Day’s Pay would make them drunk for a Week, and then they neither minded him nor any thing else. I heard Mr. Oglethorpe, after he return’d to the Ship, say, that he was in doubt whether he should prosecute the Man, who is the only one here able to finish the Work, and thereby leave the Work undone, and lose the Materials, which were all ready; or else forgive what was past, and have the Beacon finish’d. He took the latter Counsel, and agreed with him for a Time certain, and a Price certain, appointing Mr. Vanderplank to see that the Work advanced according to the Agreement; and not to pay, but proportionably to what should be done. This Beacon is 25 Foot wide at Bottom, 90 Foot high, and 10 Foot wide at Top. It is of the best of Pine, strongly timber’d raised upon Cedar Piles, and Brickwork round the Bottom. It will be, when raised, of great Service to all Shipping, not only to those bound to this Port, but also to Carolina; for the Land of all the Coast, for some hundred Miles, is so alike, being all low and woody, that a distinguishing Mark is of great Consequence. Old news from Armidale and New England, Australia. My thanks to Brad for the link to this PDF. Voyage To Georgia. Part 7. In this time the Refreshments design’d for the Voyage were expended, and we were forced to lay in more at an excessive Price, by reason that the Squadron at Spithead had made every thing dear. Mr. Johnson, son to the late Governor of South Carolina, was taken ill here of a Fever, which prevented his going the Voyage. 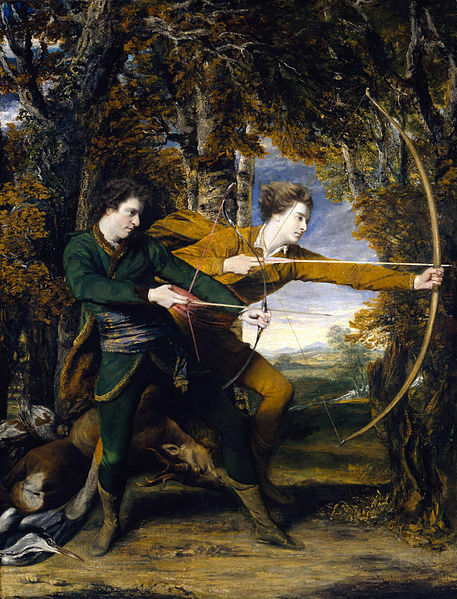 There was a great Disappointment; for if he had gone to Carolina, as intended, a Man of his Interest and good Sense being at Charles-Town, whilst Mr. Oglethorpe was at the Southward, might have prevented the Misunderstandings which afterwards happen’d. On the 10th of December, the Wind at E. S. E. and a moderate Gale, we, in Company with the Hawk, the London Merchant, and about forty Sail more, who had been forced to stay by the long Continuance of contrary Winds, stood out for Sea. When we had pass’d the Needles the Pilot left us. The London Merchant lay by a little for three of the Passengers, who happen’d to be gone to Portsmouth when the Wind came fair; but it was all to no Purpose, for they not coming up in time, were left behind. On the 12th we parted with the Hawk, the Wind blowing very hard. I believe a Journal of the Winds and Days of the Month will be but dry to the Reader, and that it may divert him more to hear which way our floating Colony were subsisted, and pass’d their time on board. catechized the Children, and administer’d the Sacrament on Sunday’s but Mr. Oglethorpe shew’d no Discountenance to any for being of different Persuasions in Religion. The Dissenters, of which there were many on board, particularly the Germans, sung Psalms and served God in their own way. Mr. Oglethorpe had laid in a large Quantity of live Stock, and other Refreshments, (though he himself seldom eat any but Ship’s Provisions); Not only the Gentlemen his Friends eat at his Table, but he invited, thro’ the whole Passage, the Missionaries and the Captain of the Ship, who together made twelve in Number. All those who came upon the Trust’s Account were divided into Messes; and, besides the Ship’s Provisions, the Trustees were so careful of the poor People’s Health, that they put on board Turnips, Carrots, Potatoes, and Onions, which were given out with the salt Meat, and contributed greatly to prevent the Scurvy. The Ship was divided into Cabbins, with Gang-ways, which we call Streets, between them. The People were disposed into these by Families; the single Men were put by themselves. Each Cabbin had its Door and Partition. Whenever the Weather would permit, the Ship was clean’d between Decks, and wash’d with Vinegar, which kept the Place very sweet and healthy. There were Constables appointed to prevent any Disorders, and every thing was carried so easily, that during the whole Voyage there was no Occasion for punishing any one, excepting a Boy who was whip’d for stealing of Turnips. When the Weather permited, the Men were exercised with small Arms. 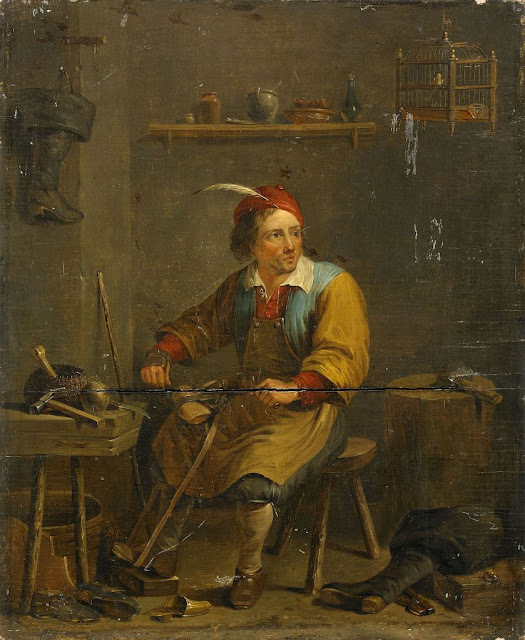 There were also Thread, Worsted, and Knitting-needles given to the Women, who employ’d their leisure time in making Stockings and Caps for their Family, or in mending their Cloaths and Linnen. Mr. Oglethorpe, when Occasion offer’d, call’d together all those who were design’d to be Freeholders, recommended to them in what Manner to behave themselves, acquainted them of the Nature of the Country, and how to settle it advantageously. Game Foods: Australian Recipes, from Australia. 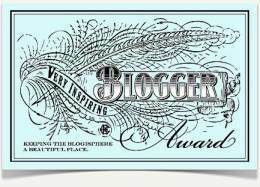 Sandra over at Possessions of a Lady has very kindly given my a blog award. Many thanks Sandra, this is sincerely very much appreciated. 1) Display the award and link back to the person who awarded you. 2) State 7 facts about yourself. 3) Nominate 15 bloggers for the award. 1) I am an 18th century Living Historian. 2) I am a primitive skills instructor. 3) I am a writer and book author. 4) I produce primitive skills and Living History DVDs. 5) It is my Birthday today and I am 65 years of age. 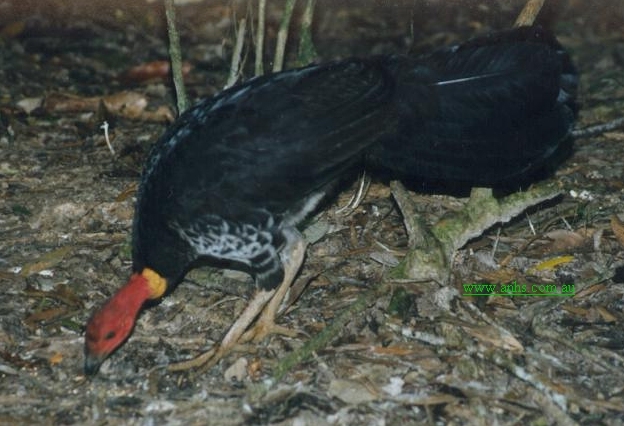 6) I live in a forest in New England Australia. 7) I was born in West Sussex England. Blogs I find inspiring in no particular order (not all are 18th century related, nor do I always agree with their content). 18th Century Wilderness Living. Part One. A New Video Series. Voyage To Georgia. Part 6. The Trustees examined at their Office such Persons as applied to them for the Benefit of the Charity, and out of them chose those who had the best Characters, and were the truest Objects of Compassion. Subsistence for themselves and Families; that they gave them Lands, and a Year’s Provisions, but that those Lands were uninhabited Woods; that they must lye without Cover till they could build Houses for themselves, live upon salt Meat, drink Water, work hard, keep Guard for Fear of Enemies, clear and plant Ground before they could reap any Harvest; that the Country was hot inSummer, and that there were Flies in Abundance, and that Thunder-storms were frequent in that Season; that Sicknesses were dangerous to those who drank distilled Liquors, and that Temperance was not only necessary to preserve their Substance, but their Health also; that if they put their Trust in God, and were temperate and industrious, they might establish themselves and Families in a comfortable Way upon Lands of their own; but if they thought they should not be able to go through those Difficulties, they advised them by no means to undertake the Voyage. Several were dishearten’d, which discovere’d that they had pleaded Necessity without Reason, and that they were able to live in England. The Places of those who were deter’d from going, were fill’d up with others; for there were a great many more petition’d to go than there was room for. Besides the English, there were a Number of persecuted German Protestants, under the Conduct of Mr. VonReck and Capt. Hermsdorf. The whole Embarkation, English and Foreigners, together with the Missionaries to the Indians, amounted to 227 Heads, making 202 People upon the Trust’s Account, besides Mr. Oglethorpe, the Gentlemen with him, and his Servants, whose Passages he himself paid. There were two Ships freighted, the Symond, of 220 Ton, Capt. Joseph Cornish, and the London Merchant, about the same Burden, Capt. John Thomas. There was a sufficient Quantity of Provisions for some Months put on board, likewise Arms, Cannon, Ammunition, and all kinds of Tools for Husbandry, and Necessaries for Families. One of his Majesty’s Sloops, under the Command of Capt. James Gascoigne, was ordered to assist the Colony, and to carry over Mr. Oglethorpe, who intended to inspect the Settlement; but he chose rather to go on board one of the Ships, tho; crowded with the Colony, that he might be able to take care of the People in their Passage. On the 14th of October I set out from Parliament-stairs; about Four in the Afternoon I arrive’d at Poorfleet, where I dined, and staid during the Flood; after which I reach’d Gravesend about Midnight. There I lay, and the next Day went on board the Symond, Capt. Joseph Cornish, where the Passengers upon the Trust’s Account had been for some Days. I immediately took an Account of the Stores. On the 19th a Boy, as he was playing, fell overboard: A Man being near him, and seeing him fall, throw’d him a Rope, and he got in again. We waited for the coming down of the London Merchant. On the 20th the London Merchant, Capt. John Thomas, with Part of the Colony on board, join’d us at Gravesend. I went and took an Account of her Cargo. The same Day Mr. Oglethorpe, with Mr. Johnson, Son to the late Governor of South Carolina, and several other Gentlemen, who intended to accompany him in the Voyage, came on board. In the Afternoon we weigh’d, and went down to the Hope. On the 21st we sail’d from the Hope, and got within three Miles of the Buoy of the Nore. On the 23d a thick Fog came upon us: We made shift to get to the Buoy of the Nore, and anchor’d on the Kentish Flats, being not able to proceed farther. On the 25th it blew fresh against us, and we got but little forwards. On the 26th, early in the Morning, we arrived at the Horse-shoe Hole, where we anchor’d for some time, and then setting sail we got to Margate-Road. On the 27th we arrived at Deal, and were forced to come to an Anchor in the Downs. We set on shore a Servant belonging to one of the Colony, it being discover’d that he had the Itch. On the 28th it blew hard against us. The same Day died a Child of eight Months old, being Daughter to one of the Colony, She was dangerous ill before she came on board. On the 30th the Wind continued to blow hard; but Mr. Oglethorpe insisting with the Captains to sail, we venture’d out, and found the Wind less, and more favourable at Sea. On the 1st of November we put into St. Helen’s in order to meet the Man of War, whom we expected to be ready. It being near Night the Ships came to Anchor, and a Gentleman was sent to Spithead to inquire after the Man of War: He return’d about Midnight with Advice, that she was in Portsmouth Harbour, and not yet ready. On the 2nd the Ships sail’d for Cowes Road, and Mr. Oglethorpe went to the Man of War Sloop. As the Ships pass’d by Spithead they saluted the Admiral’s Ship, which she returned. but very expensive to the Trust; since there were so many hundred Mouths eating, in Idleness, that which should have subsisted them till their Lands were cultivated; and that they were also losing the most useful Season for that Purpose. 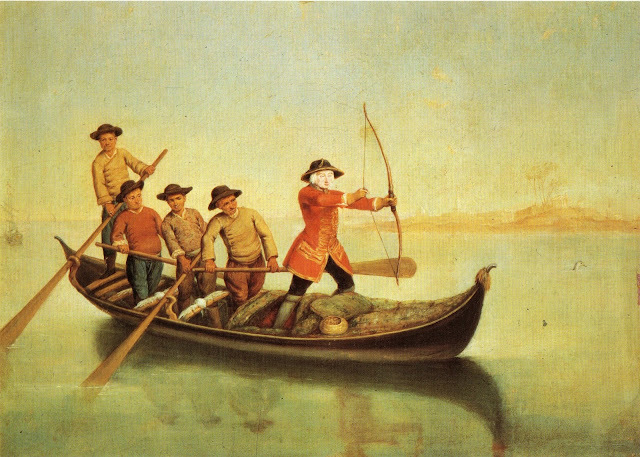 Bow use in the 18th Century. Images. 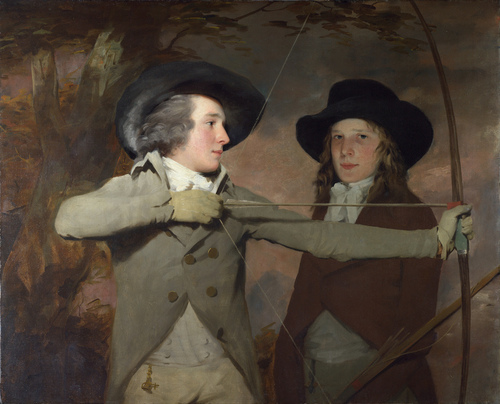 The Archers, by Sir Henry Raeburn. 1789-1790. A Voyage To Georgia. Part 5. 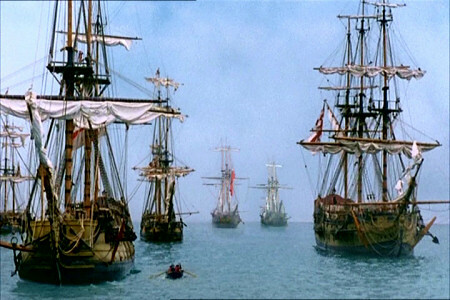 The Boat returned which had been sent to Port Royal, with Answer, that the Refreshments which had been bespoke from England, for the Use of the Colony, were not ready. She immediately proceeded up to Savannah, having Packets of Letters for Mr.Oglethorpe, who in the Evening return’d from thence in a Scout-boat. This was a strong-built swift Boat, with three swivel Guns and ten Oars, kept for the visiting the River-Passages, and Islands, and for preventing the Incursions of Enemies, or Runaways, from whence it is call’d Scout-boat. 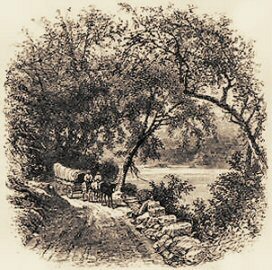 The Crew is composed of Men bred in America, bold and hardy, who lie out in the Woods, and upon the Water Months together, without a House or Covering. Most of them are good Hunters or Fishers. By killing Deer and other Game they can subsist themselves, in case their Provisions should fail; but indeed, on these Sea-islands, no one can starve, since if, at the worst, a Man was lost, there are Oysters and Shell-fish enough to subsist him. Mr. Oglethorpe brought with him fresh Meat, and other Refreshments in Plenty, which he distributed to the new Comers, consisting of fresh Beef, fresh Pork, Venison, wild Turkeys, soft Bread (the Word soft is put to distinguish it from Biscuit, because at Sea they call Biscuit, Bread) Strong-beer, Small-beer, Turnips, and Garden-greens; and this in such Plenty, that there was enough for the whole Colony for some Days. A Voyage To Georgia Part 4. No Person can lease out his House or Lot to another, without Licence for that Purpose; that the Colony may not be ruined by Absentees receiving, and spending their Rents elsewhere. Therefore each Man must cultivate the same by himself or Servants. And no Person can alienate his Land, or any Part, or any Term, Estate, or Interest therein, to any other Persons or Persons, without special Licence for that Purpose; to prevent the uniting or dividing the Lots. If any of the Land so granted shall not be planted, cleared or fenced with a Worm-fence or Pails six Feet high, during the Space of ten Years from the Date of the Grant; then every Part thereof not planted, cleared, or fenced as aforesaid, shall belong to the Trust, and the Grant, as to such Parts, shall be void. There is reserved for the Support of the Colony, a Rent-charge for ever of two Shillings Sterling Money for each fifty Acres; the Payment of which is not to commence until ten Years after the Grant. The Wives of the Freeholders, in case they should survive their Husbands, are, during their Lives, entitled to the Mansion-house, and one half of the Lands improved by their Husbands; that is to say, inclosed with a Fence of six Feet high. All Forfeitures for Non-residence, High-Treason, Felonies, etc., are to the Trustees for the Use and Benefit of the Colony. Negroes and Rum are prohibited to be used in the said Colony; and Trade with the Indians, unless licens’d. 1. Such as are in decayed Circumstances, and thereby disabled from following any Business in England; and who, if in Debt, must have Leave from their Creditors to go. 2. Such as have numerous Families of Children, if assisted by their respective Parishes, and recommended by the Minister, Church-wardens and Overseers thereof. The Trustees do expect to have a good Character of the said Persons given; because no Drunkards, or other notoriously vicious Persons will be taken. A Pallias, and Bolster, and Blanket for Bedding. A Pair of Shoes from England, and two Pair of Country Shoes. And 200 Pounds of Meat, and 342 Pounds of Rice, Pease, or Indian Corn for Food for a Year. The Expence of which Passage, Cloathing, and Provision, is to be repaid the Trustees by the Master, within the third Year from their Embarkation from England. And to each Man-servant, and the Heirs Male of his Body for ever, after the Expiration of his Service, upon a Certificate from his Master of his having served well, will be granted Twenty Acres of Land, under such Rents and Agreements as shall have been then last granted to any others Men-servants in like Circumstances. PROVIDED, that in case any Person shall disobey such Orders as they shall receive, a Deduction shall be made of the Whole, or any Part of the above Provisions. Signed by Order of the Common-Council of the Trustees for establishing the Colony of Georgia in America, this Second Day of July, 1735. To Every Man A Gimlet. Part 2. The gimlet and auger I made.
" Young as I was, I was possessed of an art which was of great use. It was that of weaving shot-pouch straps, belts and garters. I could make my loom and weave a belt in less than one day. Having a piece of board about four feet long, an inch auger, spike gimlet, and a drawing knife, I needed no other tools or materials for making my loom. It frequently happened that my weaving proved serviceable to the family, as I often sold a belt for a day's work, or making a hundred rails. So that although a boy, I could exchange my labour for that of a full grown person for an equal length of time". Has anyone got any ideas on the sort of loom that Dodridge could have made with just a four foot board? I was thinking some form of inkle loom. A board with pegs in it? My sincere thanks to Jenny for giving me this quote from Doddridge. I found this quote many years ago but managed to lose it again in my maze of files! Thank you Jenny, very much appreciated. A V O Y A G E TO G E O R G I A Begun in the Year 1735. Part 3. On the Two Pork Days. Two Pints and an half of Pease. And on the Fifth Day. Of fourteen Ounces to the Pounds, by the Week. Water (whereof one of the Quarts for drinking, and the other for Dressing the Ship-Provisions) each Head, by the Day for the Space of a Month; and a gallon of Water (whereof two Quarts for drinking, and the other two for dressing the Ship-Provisions) each Head, by the Day after, during their Voyage. The said Persons are to enter into the following Covenants before their Embarkation, viz. 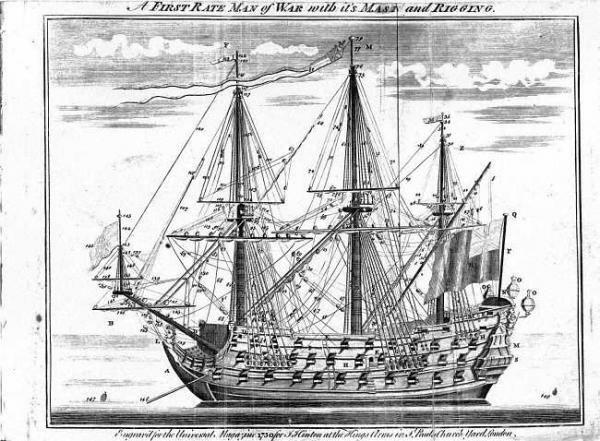 That they will repair on Board such Ship as shall be provided for carrying them to the Province of Georgia; and during the Voyage will quietly, soberly and obediently demean themselves, and go to such Place in the said Province of Georgia, and there obey all such Orders as shall be given for the better settling, establishing, and governing the said Colony. work and labour in clearing their Lands, making Habitations and necessary Defences, and in all other Works for the common Good and publick Weal of the said Colony; at such Times, in such Manner, and according to such Plan and Directions as shall be given. And that they, from and after the Expiration of the said last-mentioned twelve Months, will, during the two succeeding Years, abide, settle, and inhabit in the said Province of Georgia, and cultivate the Lands which shall be to them and their Heirs Male severally allotted and given, by all such Ways and Means, as according to their several Abilities and Skills they shall be best able and capable. And such persons are to be settled in the said Colony, either in new Towns, or new Villages. Those in the Towns will have each of them a Lot 60 Feet in Front, and 90 Feet in Depth, whereon they are to build an House, and as much Land in the Country, as in the whole shall make up fifty Acres. Those in the Villages will have each of them a Lot of 50 Acres, which is to lye all together, and they are to build their house upon it. All Lots are granted in Tail Male, and descend to the Heirs Male of their Bodies for ever. And in case of Failure of Heirs Male, to revert to the Trust, to be granted again to such Persons, as the Common-Council of the Trustees shall think most for the Advantage of the Colony; and they will have a special Regard to the Daughters of Freeholders who have made Improvements on their Lots, not already provided for, by having married, or marrying persons in Possessions, or entitled to Lands in the Province of Georgia, in Possession, or Remainder. All Lots are to be preserved separate and undivided, and cannot be united, in order to keep up a Number of Men equal to the Number of Lots; for the better Defence and Support of the Colony. Would Love To Do This In Centro Armidale NSW!!! To Every man A Gimlet. Images For The "Wadding Quote"
'Stunning' Stockholm shipwrecks wow experts.